The second adventure of Samus, GameBoy exclusive Metroid II, is one of the most atmospheric games I have ever played, a gloriously designed and exploration heavy arcade-adventure, and a beautiful black-and-white handheld offering. 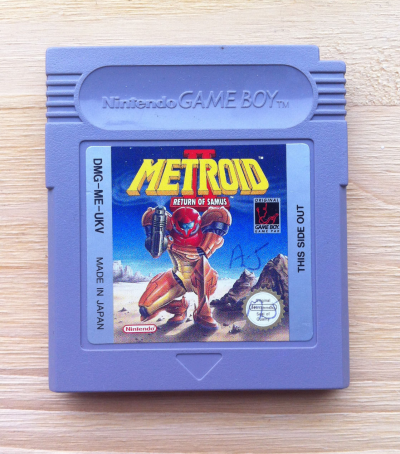 Handily you can also bid on this Metroid II: Return of Samus (GameBoy) cartridge on eBay, and experience the thing the way it was meant to be played. The cartridge is in great condition and the seller ships worldwide.